If the recent news surrounding Cambridge Analytica is anything to go by, it’s clear that the way personal data is being treated needs to change. Although in Europe, changes such as the GDPR are trying to give users greater control over what personal data they hand over, and what it’s used for, there’s still a long way to go. Enter Mainframe, a company dedicated to decentralizing and securing the way organizations communicate online. Mainframe’s blockchain-based platform uses innovative technology to provide a secure, decentralized network that is resistant to censorship, using end-to-end encryption. Although their goals are lofty, the company has already shown off an early build of their platform. As they ramp up their publicity and funding, we’ll take a closer look at Mainframe. In this article we’ll discuss what Mainframe is, how the technology works, and why we need it. You can read Mainframe’s full whitepaper over at their website. It gives a good mix of both the technical details of the platform, as well as some layman explanations. As we established in the introduction though, Mainframe is a secure, decentralized communications network. This doesn’t just apply to person-to-person messaging, but encompasses many forms of data packet transfer. It’s resistant to censorship, surveillance, and interference, and relies on a decentralized peer-to-peer network of nodes to power it. This means that no matter what, the network will keep running and keep your communications secure. This plays a big role in the plans Mainframe have for their platform. It’s impossible for an outside party to view content that you send via the protocol thanks to the end-to-end encryption that is used. In layman’s terms, this means that messages you send on the platform, regardless of whether on a P2P or group basis, remain private. This is one of the features that make Mainframe so impressive. The company claims that it is ‘effectively impossible’ for an outside agency to identify, monitor, or trace the communication between two parties. The platform utilizes multiple ‘nodes’ to disperse data across the network, but only the target node can read the data packet sent. Mainframe has created their own digital token, known as MFT, to foster growth and participation in their systems. Users can create the ‘nodes’ we mentioned above, whereby they dedicate bandwidth towards the services that run on the Mainframe platform. The user can then determine the services, pricing, and medium of exchange for use of their node. They are rewarded in MFT. Although technically a digital currency, Mainframe stated that it’s not a trade investment in the same way other cryptocurrencies are. In order to combat service outages and preserve the integrity of their network, Mainframe runs on a peer-to-peer infrastructure. This means it’s not reliant on specific nodes or connections to keep it live, services are distributed across the network. The aim of the company is to provide this secure, persistent, and decentralized platform to any app, network or blockchain that uses it. Providing that a company or service provider can prove that their needs and intentions match up with the Mainframe ethos, a service development kit will be provided to them. Organizations that are concerned with security breaches, third-party interference, and services outages should take note. 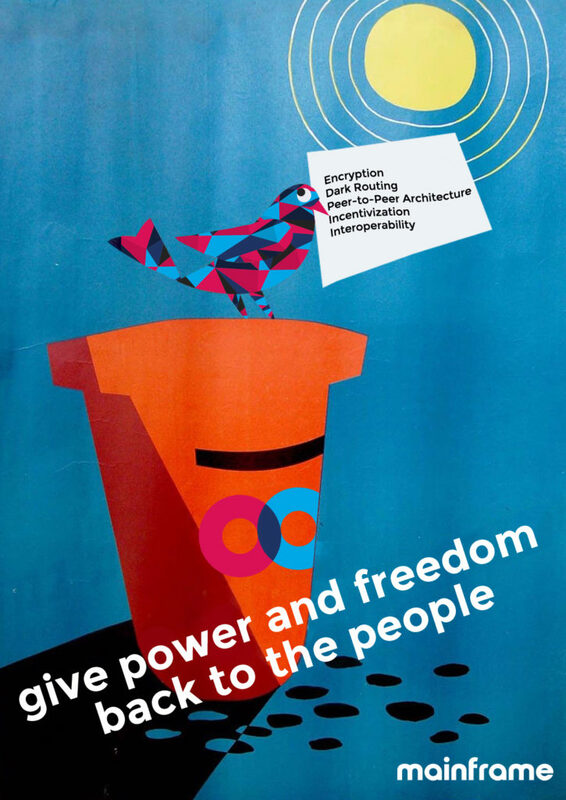 Mainframe aims to release the shackles of existing corporate communication structures with their decentralized platform. The implications are potentially huge, and could change the way people communicate online. However, although the company is making waves online and has shown encouraging progress so far, it’s too early to tell whether their potential will be met. Mainframe’s roadmap and strategy for delivery still seems a little vague, and it’s difficult to see just how they aim to deliver the widespread usage of the platform. Although the Onyx messenger system seems like a solid start, they still have the likes of Slack and many, many others to compete with. But their decentralized privacy offers a distinct advantage to those in need. 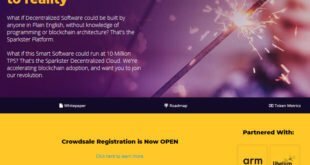 Overall, Mainframe is an exciting prospect that deserves close attention. Their ethos seems to genuinely promote a decentralized and secure way of communicating. Giving power and freedom back to the people seems to be their true goal, and the technologies that they’ve built to achieve this are intriguing to say the least. It’s impossible to say right now whether they’re capable of delivering all they intend, but the early signs are certainly encouraging. Previous Beyerdynamic Aventho Wireless vs Sennheiser HD1 Headphones: Which One Has the Edge?